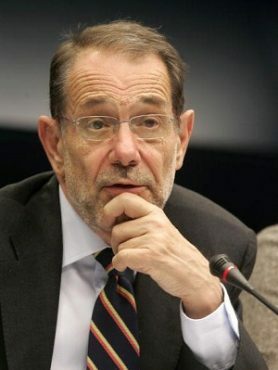 Javier Solana is president of ESADE Center for Global Economy and Geopolitics (Barcelona-Madrid). He is distinguished fellow in Foreign Policy at Brookings Institution, senior fellow at the Hertie School of Governance (Berlin), chairman of the Aspen Institute Spain, honorary president of the Centre for Human Dialogue (Geneva), and advisor to the Institute of Modern International Relations of Tsinghua University. He is also member of the board of the International Crisis Group and the European Council on Foreign Relations, as well as visiting professor at the London School of Economics, where he was awarded an Honorary Degree in December 2010.